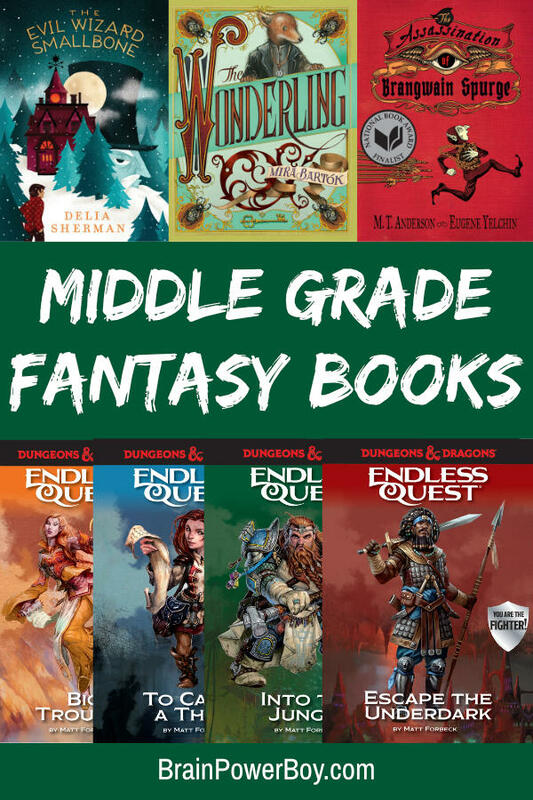 Middle Grade Fantasy Books Sure to Keep Them Reading! We found some middle grade fantasy books that are page-turners sure to keep kids reading. We are a family of readers, and all of us enjoy fantasy books, myself included. 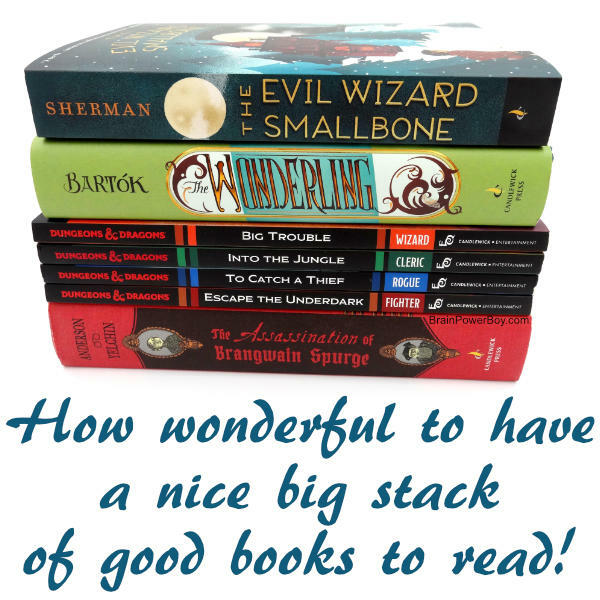 I am always on the lookout for new books to read, especially ones I think my son will enjoy, and we found some new ones put out by Candlewick Press recently that I wanted to share with all of you. Scroll down for a discount and for a giveaway too. Awesome, right?! I received books from Candlewick Press and was compensated for my time writing this post. All opinions are my own and I share things I think would be of interest to boys. We are starting with the books my son wanted from the Candlewick Press new fall books list. There were so many to choose from! He chose a series of Dungeons & Dragons books. Below, he writes about his impression of the books. This series of books is quite similar to the Choose Your Own Adventure books in that you are faced with a decision and you must choose an option by flipping to the respective page. The books are quite entertaining. They provide a long while of enjoyment because of the many options you can choose. You can select one path all the way to the end of the book, or you can choose multiple options along the way. It is all up to you. I did both. In some respects, this series may not be good for kids who are easily disturbed. For example, at one point you are faced with an evil 2-headed god called the Demogorgon. In one of the possible endings, you cower in fear of the monster, and when he finds you, you go completely insane. It is filled with chilling descriptions of your insane crazed laughter as the very visage of the horrifying and crazed beast twists your mind into pure insanity. The books are not overly violent, though they do mention blood and mass slaughter. Violence is not the main focus of the books, but it is present in some situations. Personally, I really enjoyed them. Here are the books he read and a brief description of each of the individual books. We really like book series so he was glad to have more than one of these to read. 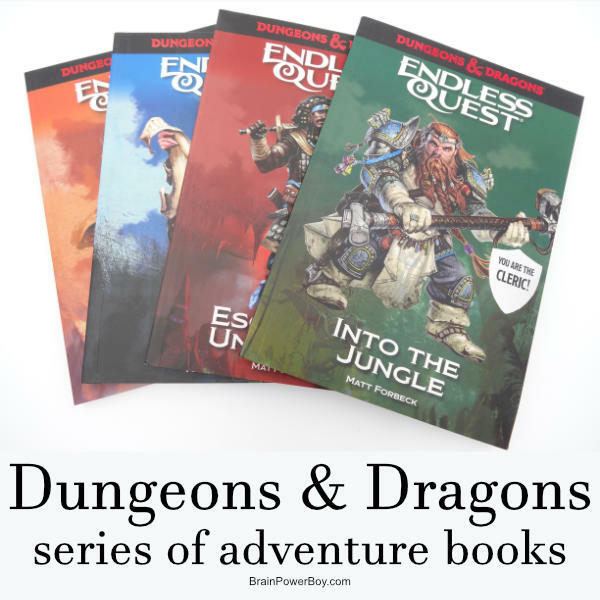 The series of books is called Dungeons & Dragons: Endless Quest. Each book then has a subtitle which we will use below. In this book, you are a thief. You’ve been caught and you need to find a baby griffon and bring it back to the lord. To do this you need to go down in to the underbelly of the town to rescue the griffon from the thieves’ guild. You are a dwarf cleric and you have been sent to find a lost member of your religion. Along the way, you find friends to help you with your quest. The book is not Christian as he prays to a dwarf warrior god. In this title, you are a wizard and your mother and brother have been kidnapped by giants. Your father went off to find them. You need to choose which one to follow and you find allies to help you along the way. You are a fighter/warrior and you are trapped in an elf prison located deep in the Underdark. You need to find your way out with the help of your fellow prisoners in order to again see the light of day. They are fantasy books and the violence my son described is certainly to be expected. I would bet it made the books more exciting and fun to read. He read and enjoyed them all. We got the paperback copies and I was impressed with them. They are very nicely bound, the pages are all colored and glossy (not your typical paperback book) and the images are great. I liked how the set looks together and the shields on the front are a shiny silver and really stand out. When I am looking at books, little details like that jump out at me and make me want to read them. The illustrations are very nicely done. I think boys will especially be drawn to this series for its content and will certainly enjoy the quality pictures within that add a lot to the feel of the stories. Each book is 122 pages long. Be sure to pop over and see our Dungeons & Dragons Perler Bead craft! We made a sword, a shield and a staff. Scroll down for some other engaging titles to check out. Be sure to go over and download the full fall catalog as well. Plus, there here is a sweet bonus for you! Use the code CANDLEWICK for 25% off direct orders. This title is interesting. It is written from two viewpoints which makes it a bit unique as far as stories go. There are goblins and elves, which fantasy fans will be happy about. There is also plenty of dark humor. The pen and ink drawn illustrations add a lot to the story and are plentiful. You really have to see them! There is a lot here to discuss in the area of politics, culture, common ground, and more, should you choose it as a read-aloud. Discussions are one of my favorite part of reading with my son. This book is a good one. See if you can answer this question: Does the one who writes the history win the war? We have the hardcover and it is a beauty. With 516 pages this one will keep your kids reading for a nice long time. And, when they are done, they will want to keep it to read it again. When choosing fantasy books, I saw the Wonderling and had to have it. Yes, I judged the book by its cover 🙂 I looked the look of it, I love the illustrated cover enough to want to read it. Now, I have to say that I was slightly disappointed that inside the book itself, the illustrations are scant. There a some scattered about but I really wish they had included a nice amount within. That said, it doesn’t take away from the story in any way. There is adventure, there are plot twists, there is mystery, and there is more than enough interest to keep one flipping the pages. We got the hardcover which has a nice dust cover. There are 450 pages. The main character Nick runs away, and seeking shelter, meets evil wizard Zachariah Smallbone when Nick goes into a bookstore. While that sounds well and good, the wizard will not let him leave! Things go along alright, except for being turned into a spider and a rat, while Nick tries to learn some magic. Until . . . a werewolf who just happens to be Smallbones’ nemesis and a biker (well, that is an interesting twist!) come along. Many reviewers say fans of Harry Potter will like this one and I suppose that could be true but only because there is a boy and wizards. The enchanted animals and dueling wizards should, however, keep them happy and the story itself is a good tale that can be read as a read-aloud or on one’s own. This one is all text with no illustrations. It is 408 pages long but the text is normal size and there are not a lot of words per page. I’m sure your kids are really going to like these page-turners and ask for more. All you have to do is keep giving them books! Prizes shipped only to USA addresses. 14 winners will each receive one copy of Walk This Wild World. I hope you will take a look at these wonderful middle grade fantasy titles from the Candlewick Press fall catalog. I know we certainly enjoyed them and can’t wait to take a look at additional titles.